If you have heart disease, some studies have shown that zinc can help chest pain, but how much zinc to cure angina should you take and how much zinc is good for your body? Angina pectoris, according the American Heart Association is "chest pain or discomfort due to coronary disease." When the myocardium heart muscle is denied blood and oxygen, angina often occurs. Angina is also referred to as myocardial ischemia. According to a study in Mesa, Arizona conducted by Dr. William Halcomb and Dr. George Eby, zinc gluconate throat lozenges were used in a clinic trial for patients suffering from common colds. 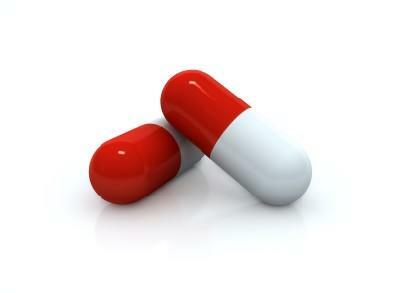 Some patients received the zinc gluconate while others received placebos. One man, a heart patient who was on disability due to a railroad job injury and participated in the clinical trial also suffered from angina. The patient told the doctors he got little if any relief from nitroglycerin treatments. Once the clinical trial ended for Drs. Halcomb and Eby, they were surprised when the angina patient returned to ask if he had received the zinc or the placebo. A review of the clinical trial records revealed the patient had taken zinc gluconate. The patient informed the doctors that in the fifteen years he had been suffering from angina, the zinc gluconate had made his angina disappear in as little as five days. Drs. Halcomb and Eby tried zinc gluconate on angina suffers of all weights and sizes to determine how much zinc to cure angina was required. How Much Zinc to Cure Angina? The studies of Drs. Halcomb and Eby determined people weighing less than 200 pounds responded to 180 milligrams of zinc gluconate and people in excess of 200 pounds found total angina relief from 300 milligrams per day. All of the patients treated by Halcomb and Eby suffered from angina, were non-active, did not work, and had significant cholesterol and heart problems. Surprisingly, once the zinc was administered, patients were able to not only find angina relief but resumed a more active lifestyle. The intake of zinc lozenges not only seems to open arteries, but also cleanses them. Once Dr. Eby investigated further, he found that zinc had been utilized in other clinical trials for angina as far back as the late 1960s. 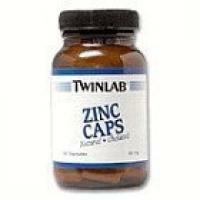 Still, a study published in the Journal of the American College of Nutrition found that zinc amounts offered to Halcomb and Eby's patients were at too-high levels. The Journal study found that thirty milligrams of zinc per day was a high enough dose to cure patients suffering from angina and warned the high dosage of Eby and Halcomb could cause nausea, dizziness, and headaches. Zinc therapy should be discussed with your doctor. Men who do not suffer from angina should take approximately fifteen milligrams of zinc per day; women should take twelve milligrams; and children, ten milligrams. Those who suffer from angina and take the recommended thirty-milligram dose should also account for foods that contain high amounts zinc. Food such as red meat, poultry, eggs, and dairy products all contain zinc in varying levels. These will all add additional zinc to your daily intake. Most doctors and herbalists do recommend that if you suffer from angina and have not been diagnosed or your have been diagnosed with heart disease, it's best to discuss zinc therapy with your cardiologist to determine the correct dose. When considering how much zinc to cure angina, if you are a heart patient with frequent or reoccurring angina, seek professional help before you begin treatment. Always tell your doctor or health care provider about the supplements you are taking as many can interact with medications.